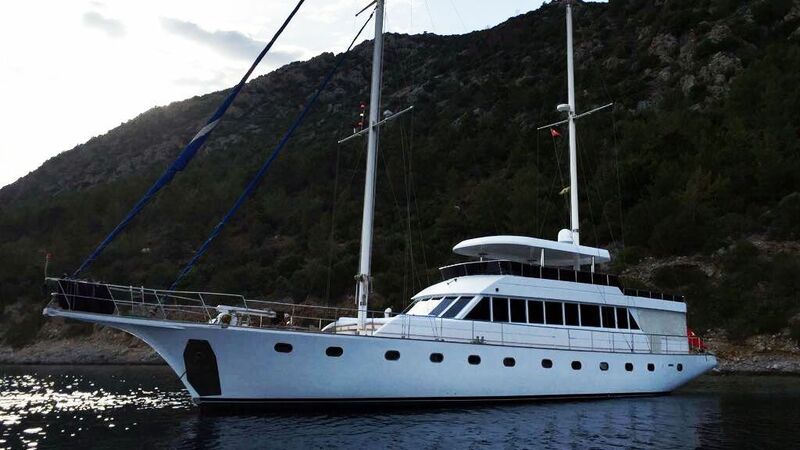 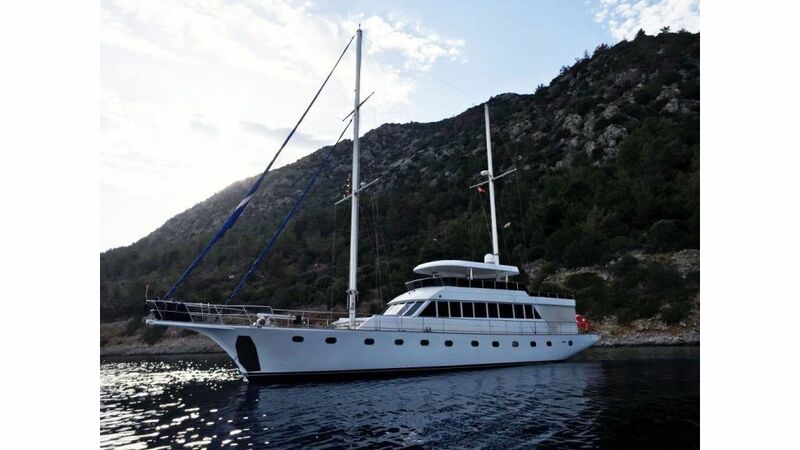 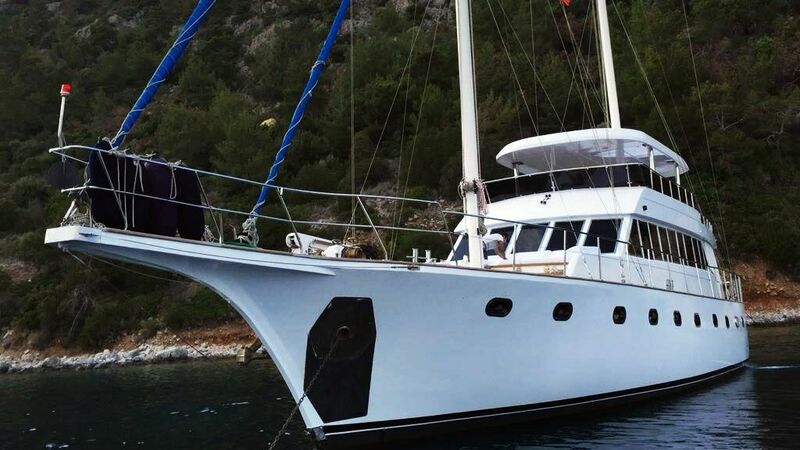 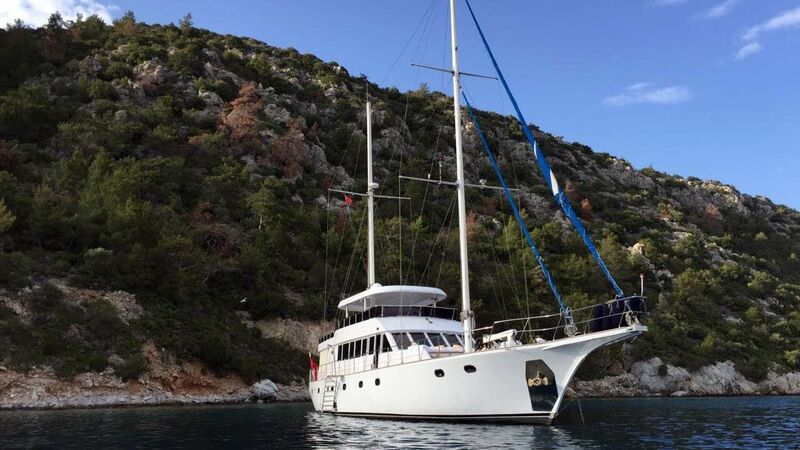 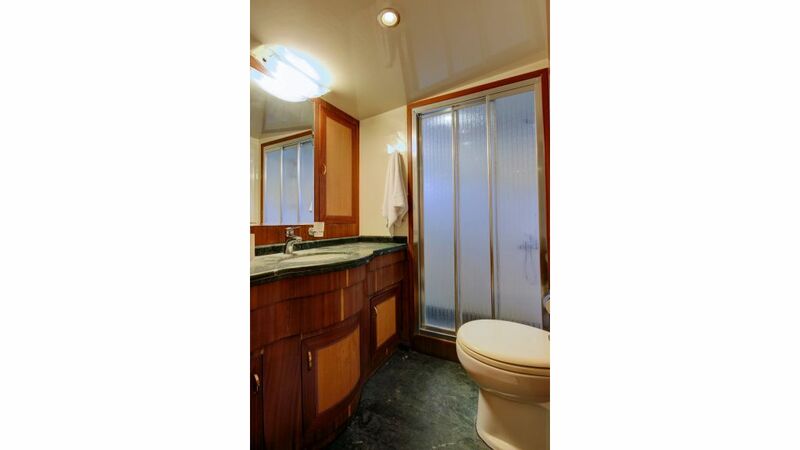 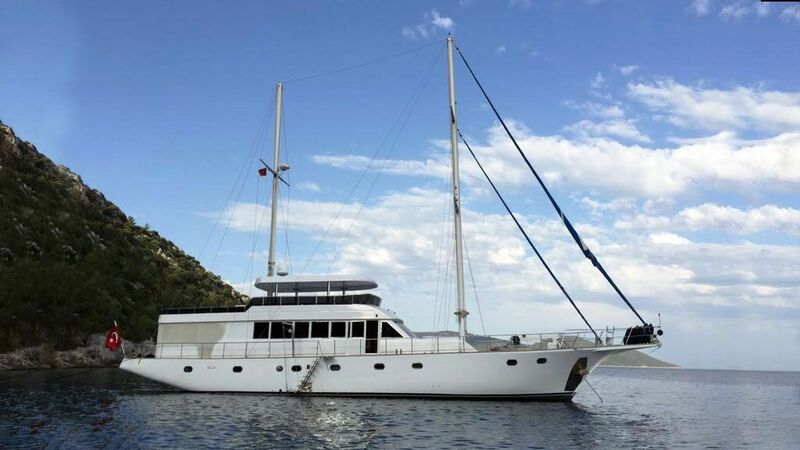 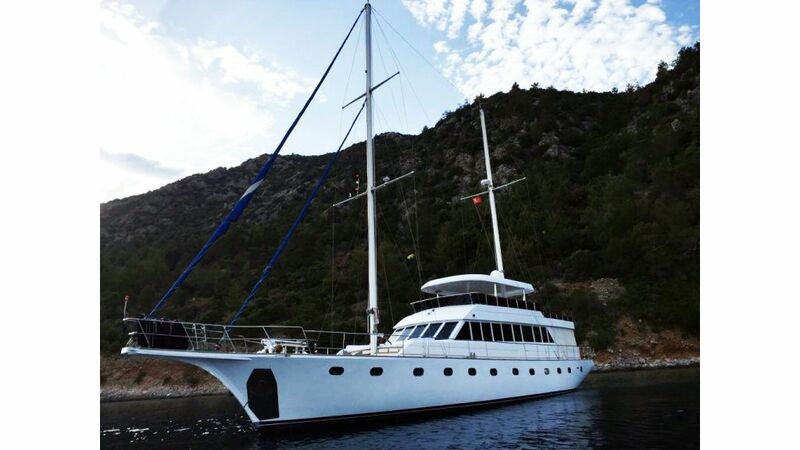 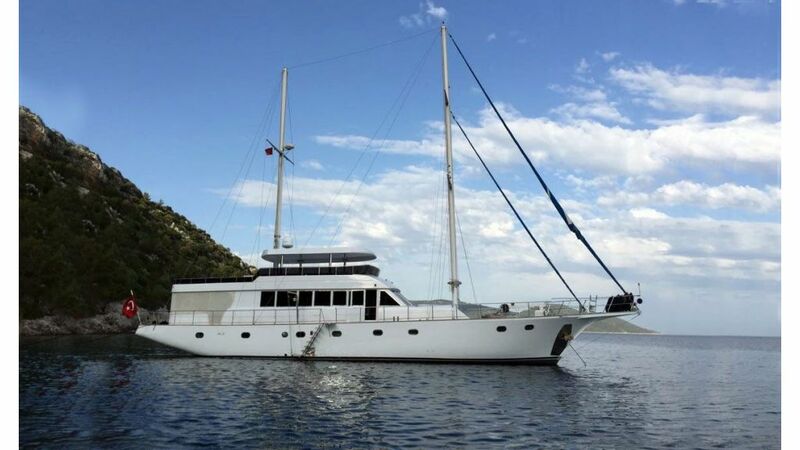 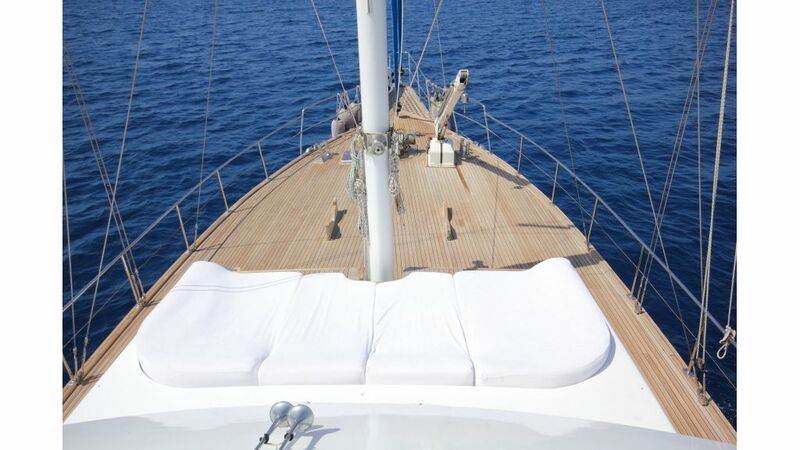 M/S Caneren she was built in 2006 for a prominent turkish businessman as his beloved private toy and kept in pristine consitions up untill today, she has 4 large cabins to accomodate 8 vip guests with utmost attention. 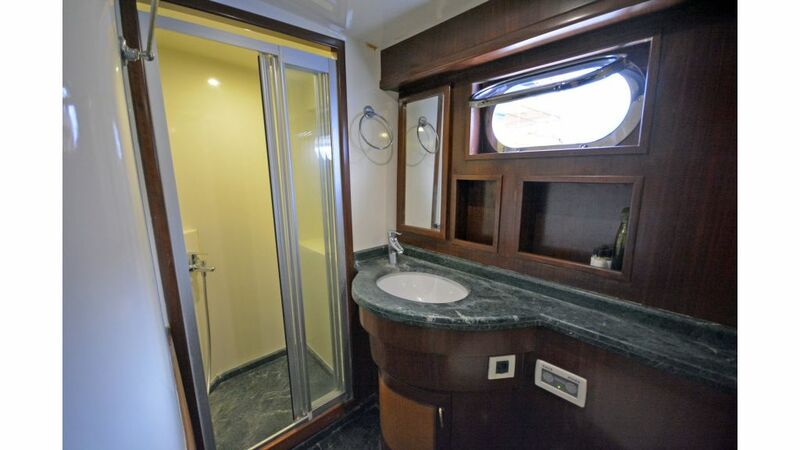 Her twin 360 hp engines gives her a boasting 13 knots and stability, her flush deck stern seating and saloon all in one level which is very convenient for aged or handicapped guests aswell. 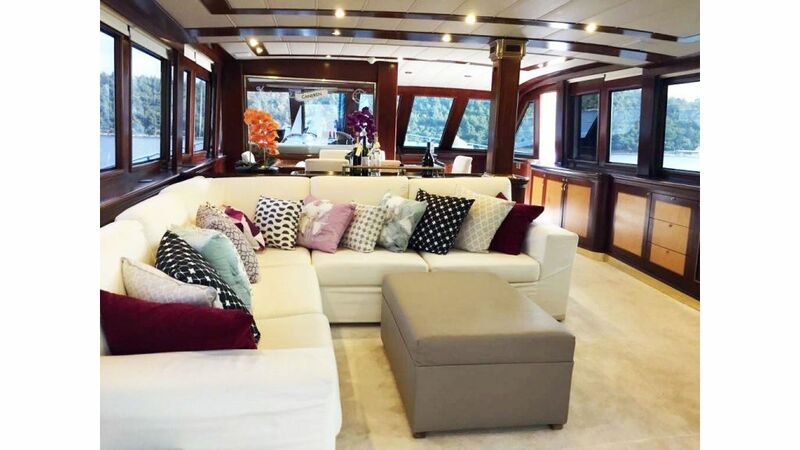 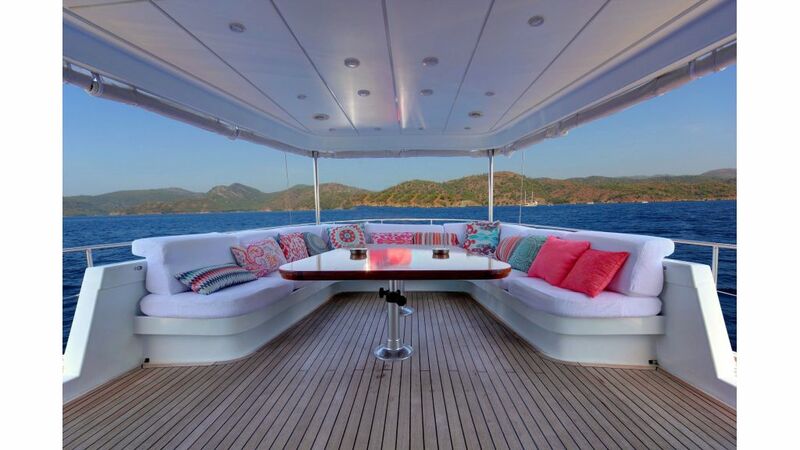 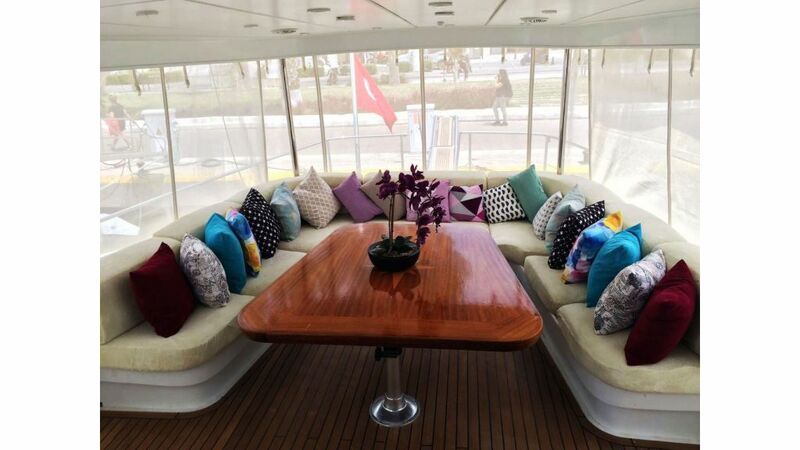 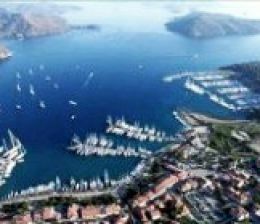 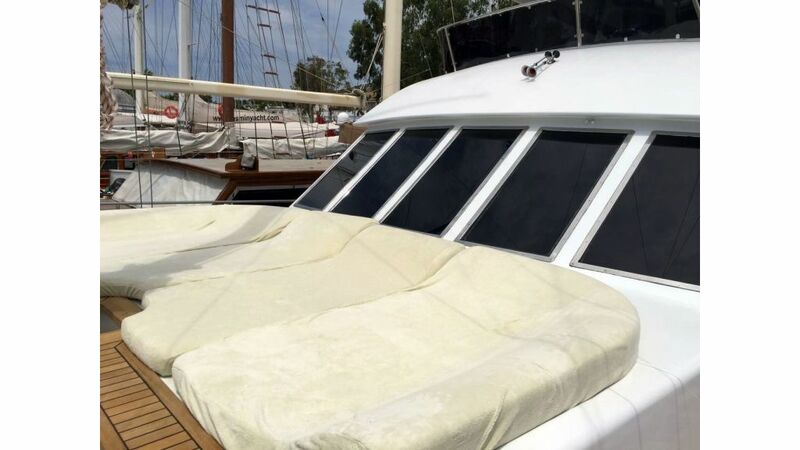 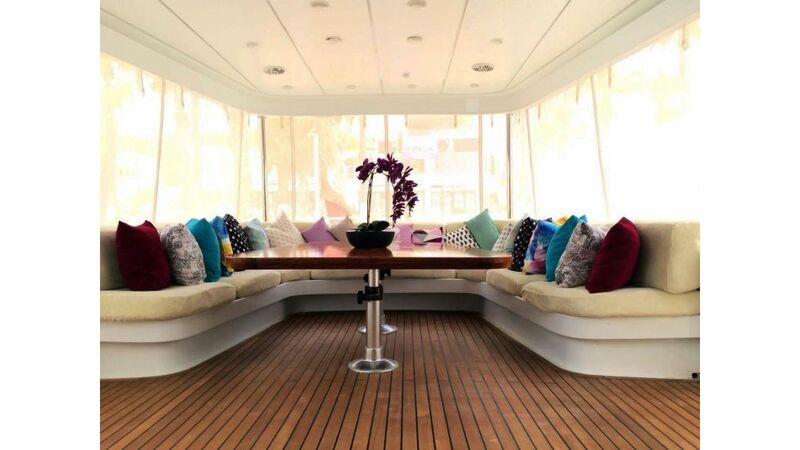 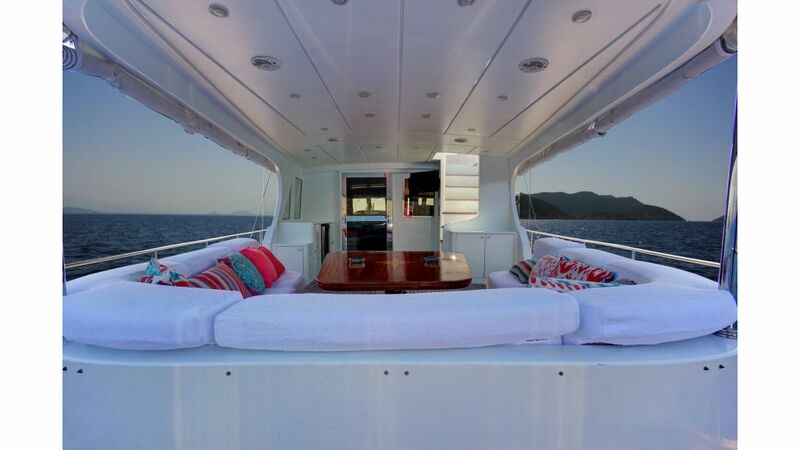 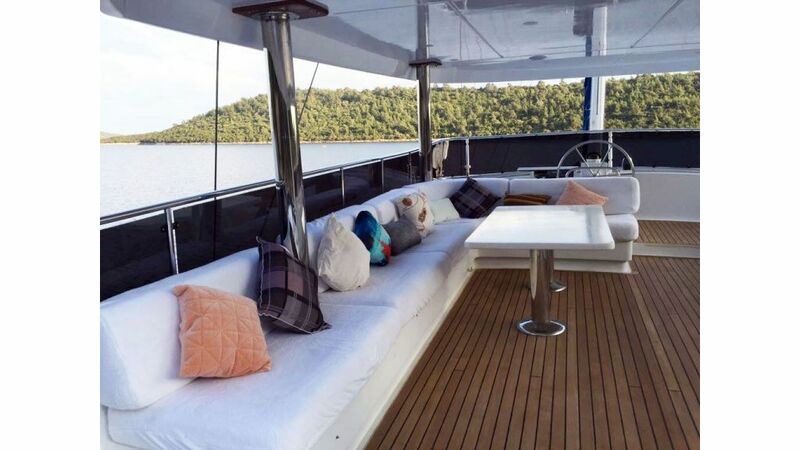 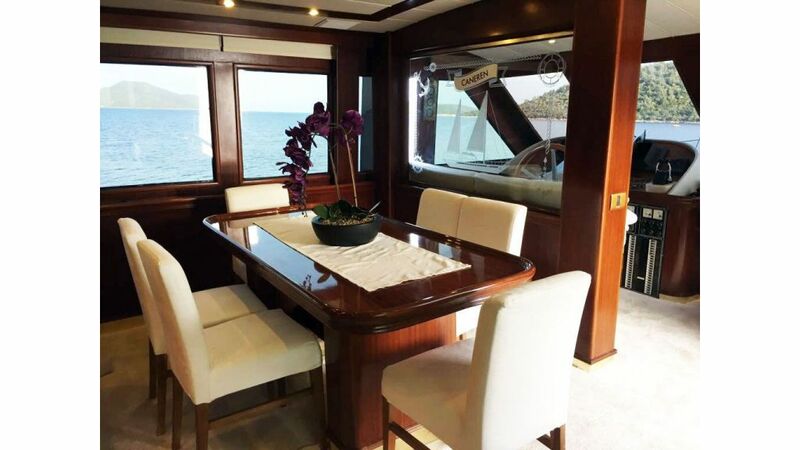 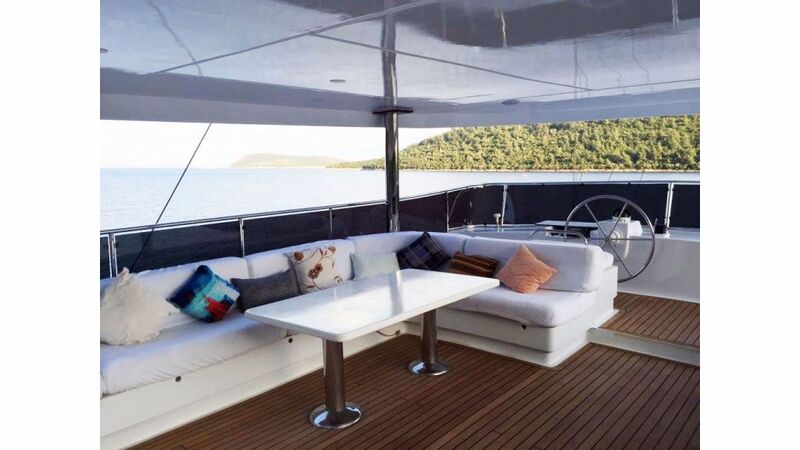 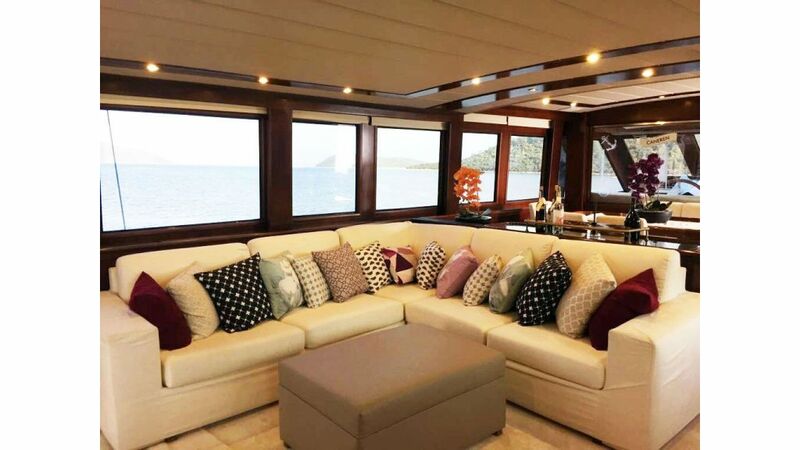 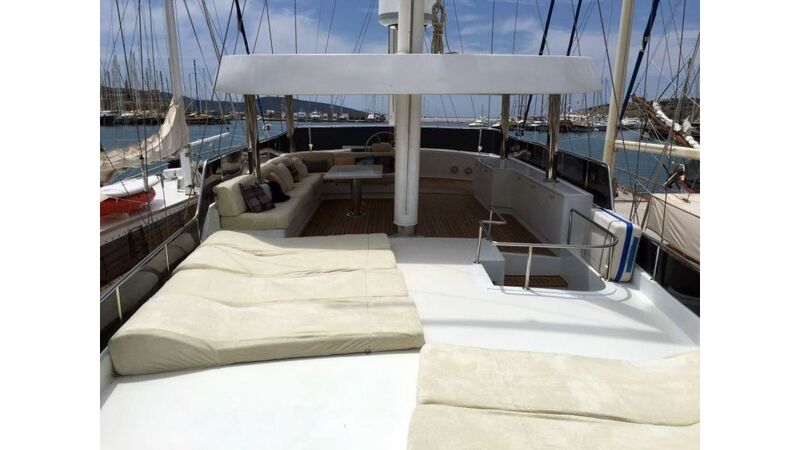 the flybridge is large enough to accomodate all the guests to throw a party with formal seating table and chairs. 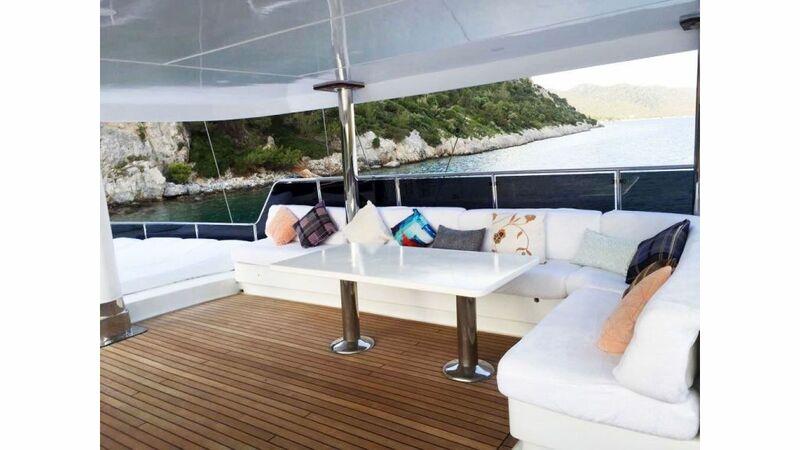 Caneren and her professional crew are ready, willing and able to entertain you and your loved ones in 2018 weekly charters.